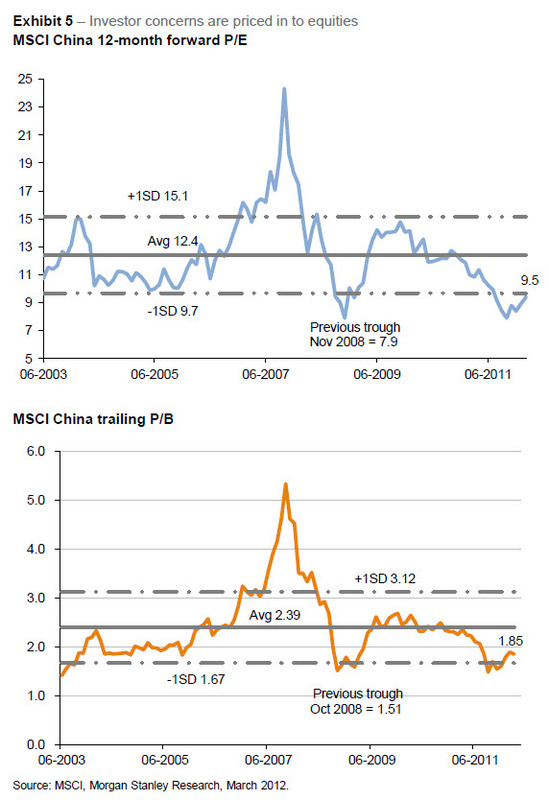 JPM Morgan (April 19, 2012) suggests China is undervalued and not in a hard landing mode. This chart from them, pictures the forward P/E and trailing P/B as being below average levels. They favor companies that are more focused on domestic revenue than export revenue. This entry was posted on Thursday, April 19th, 2012 at 10:50 AM and is filed under Interesting Charts. You can follow any responses to this entry through the RSS 2.0 feed. Both comments and pings are currently closed.